Why is the company that you just contacted me about "confidential"? We work very hard to establish honesty, integrity and credibility with all our business partners. Unfortunately, not everyone conducts business in an honest manner. There are many agencies out there that post attractive but phony resumes on job boards in hopes that other agencies or employers will try to contact the "phony jobseeker". 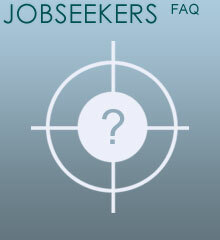 There are also many Jobseekers that post resumes that are "embellished" or contain false information. We prefer to make sure a jobseeker is a real person with real qualifications before disclosing the identity of our employers.